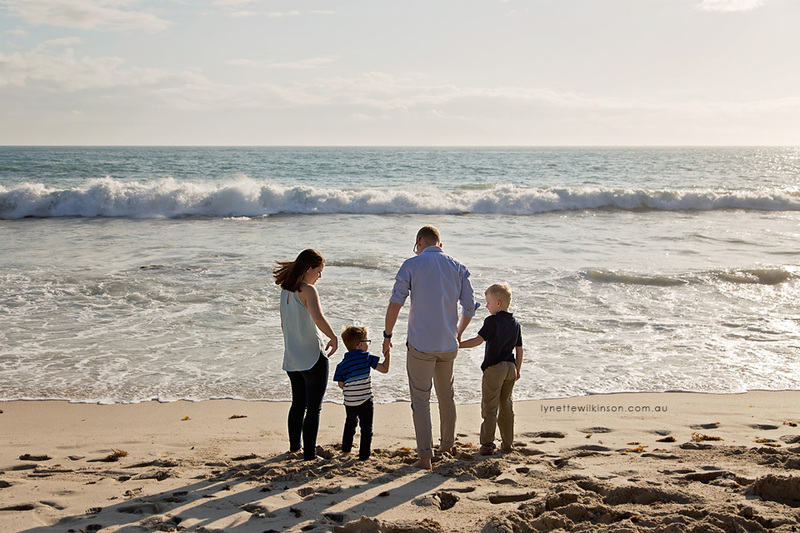 It's best to book your session as soon as possible as I only take on a limited number of family sessions each month. Weekends are very popular and fill in advance quickly. I don't usually put a time limit on family sessions, but they generally take around 1 hour, sometimes a little longer if your family is larger. Where will by session be held? The choice is yours! Lifestyle sessions in your own home are a perfect way to document your family's favourite weekend activity, even if it's just chilling out together. Since we have great weather and beautiful locations in Perth, it's also fun to venture outdoors to your favourite park, beach, or walking trail to create some magic! The choice of location is yours, however I do have a list of my favourite spots if you get stuck on deciding. Should we do anything to prepare our home? Not unless you want to! If you have the time and energy, it can be a good idea to clear away any clutter from the table and bench. You'll be looking at your family photos forever, so clear away anything that you wouldn't be happy looking back on in the pictures. I love to capture in-home lifestyle sessions as they are, so embrace the messiness. It's a part of life! The focus is on your family being relaxed, comfortable and doing what they do best - being a family! Yes! I love to visit to places! Sessions include locations within 30km of the Perth CBD. Outside of this, travel fees apply. Please contact me for details. Help! What do I wear? Being co-ordinated is a great start. Instead of getting stuck on matching, try to think of colours and patterns that fit nicely together. Neutral shades and muted tones photograph beautifully for a timeless look. If you're looking for more inspiration, head over to my pinterest board for some suggestions. The only thing I recommend avoiding is logos and bold patterns because these tend to date your photos and can take the focus away from your family's beautiful face! When do we get to see our images? Approximately 2 weeks after your session, you will receive a unique link to view your private online gallery. Once you have chosen your favourites and placed your order, your final images will be prepared and delivered to you approximately 2-3 weeks after your session. If you have ordered custom prints, these will take approximately 3-6 weeks depending on the items you have ordered. If you need assistance in choosing sizes, I offer a complimentary design service where I can use special software and photos of your own walls to create the perfect wall gallery for you. You will have the opportunity to see how your images will look on your very own walls. Please contact me for further details. Your session will be rescheduled if you've chosen an outdoor location and it's raining. If your session is at home, we can still go ahead with the session. What if one of us is sick? We will reschedule the session if I am sick, I don't want to pass on germs to your family especially if you have little ones! We all know sick kids are no fun! If you or your children are sick, it is best to reschedule as sick children probably won't enjoy the photo session and I want to make sure we create great images for you! What if my kid is being a cheeky little monster!? No worries! I have three kids who are often cheeky little monsters, so I have a few tricks up my sleeve. I know a lot of kids can take some time to warm up to a new person in their environment, so I like to follow their lead and let them have the story unfold.I am more than happy to meet with your family before your session to get to know everyone a little better!